Collage as an art form has been in existence for hundreds of years. This type of art composition has had a resurgence in popularity since the beginning of the 20th century. To make a collage, glue magazines, newspaper, colored paper, and photograph cutouts to a canvass, cloth, wood or paper backing. Paint, ribbons, and other 3D embellishments can also be added to the artwork to add depth and dimension to the piece. Collages are the perfect place to start if you want to develop your artistic talents. There is no wrong or right way to make a collage. A collage can be as simple or as complicated as you want it to be. Even young children can get beautiful results from a collage craft. Check out these 25 inspiring collage projects to help you get excited about your next project! Do you have a space on your wall but not enough money to buy a piece of art to fill it? 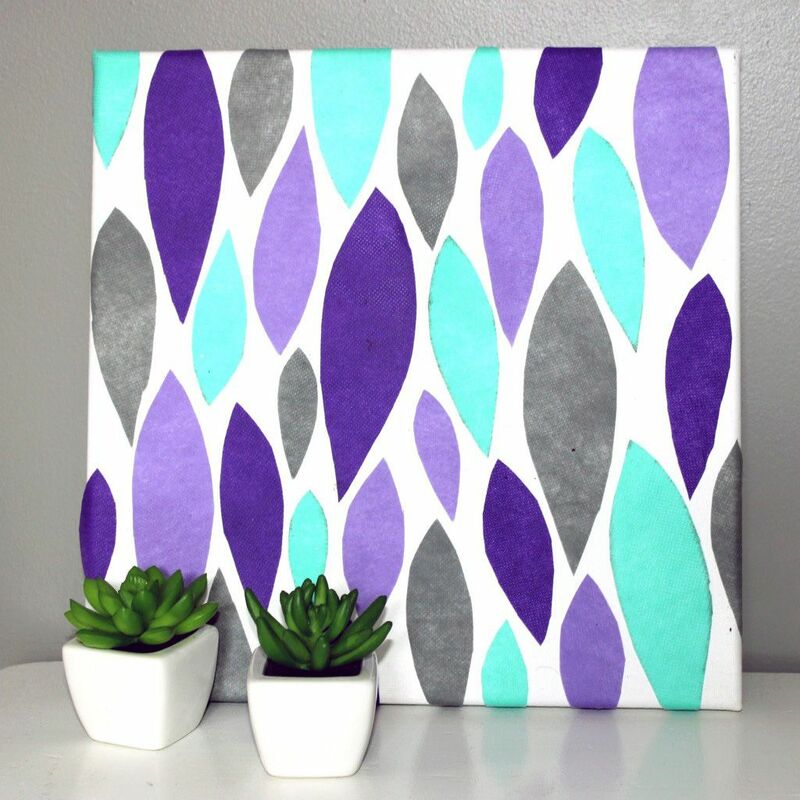 Make a collage canvas artwork from simple marquise paper shapes in colors that match your decor. Your wall will have instant drama without having to break the bank. Collages can be made from the unlikeliest of sources. Heather Greenwood teaches how to make collage journal pages from ordinary butcher paper. She paints the background of the page and then forms a collage on top of the dry wax paper. The end result is just stunning. It is possible to have a professional looking piece of wall art that is made of cutout magazine shapes and adhesive. A free template download is provided in the tutorial guaranteeing success when trying out this craft project. Make a collage of your face with paper and image editing software. It is not as hard as it looks. Just follow the steps of Kim's tutorial, and soon you will have a collage portrait you will be proud to display in your home. Make a quick collage style birthday card in minutes with washi tape, paper, and ribbon. This craft is perfect for those occasions when you need a card with a personal touch but are short on time. Sometimes collage pieces have their origins from nontraditional sources. This project was initially a watercolor painting that was cut into individual shapes and glued onto various backgrounds. We think the watercolor cutouts are lovely! Coloring books are used by many adults to relieve stress, but what do you do with the pages after you've colored them? Make a collage, of course! Recycling coloring books into art unleashes creativity while being kind to mother earth as well. Collage art is easy enough for toddlers to do! They will need some help with the background of these adorable lion and bird projects but should be able to complete the torn paper segments on their own. So cute! 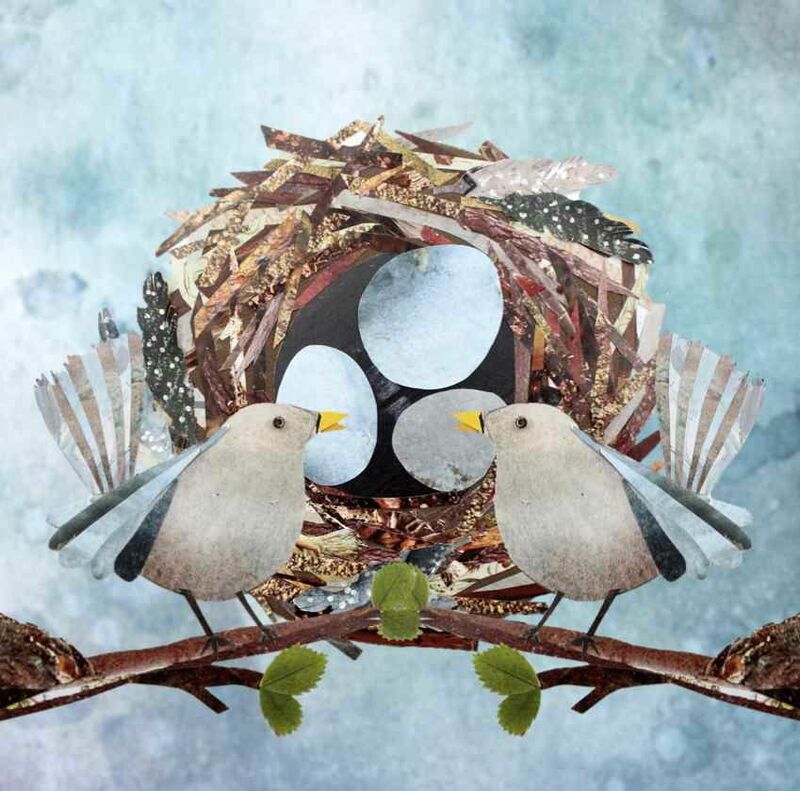 This collage is particularly easy to make because Kate's Creative Space generously offers a printable download of both the birds and the nest. You can have a replica of Kate's artwork with just a little bit of cutting and pasting. Make an exciting piece of wall art from a large black and white photo. Just cut the picture into triangle shapes as in the example photo and glue them onto a white poster board background with similar sized spaces between the triangle shapes. You now have instant artwork that adds drama to your living space. At first glance, you may think that this project is too complicated for the ordinary crafter to make. Ivy Newport–the artist that created this piece–has a fabulous video tutorial that guides you through every step of the process. You too can create this piece with Ivy's guidance and supply list. She even shows you where you can find the photo printables on Pinterest. Every year the LIFEWTR company features the work of three artists on their bottles. These wooden block wall art pieces are inspired by the work of Luis Gonzalez, a Boston native, and high school senior. Colorful tissue paper is glued onto a piece of wood with photos into a collage. Colored vellum cut into shapes is layered onto a surface to produce a sophisticated piece of modern art. Toddlers love to tear paper! One Colorful Day offers a free ocean themed printable download that you and your children can rip and paste into this adorable collage. When you are finished, why not hang this work of art in your child's room. Such a cute DIY wall decoration! Can you believe this dog collage was made by a 7th grader? Make sure to check out the museum gallery at Art Sonia for tons of creative inspiration! Photocopy real leaves and use them as the base for this collage project. A combination of tissue paper leaves and cutouts of the photocopied leaves results in a stunning piece of collage artwork. Mrs. Hatfield is the middle school art teacher that we wish we could have had. She has displayed several versions of her student's collage artwork on her blog. A lovely gallery of inspiration for those interested in pursuing collage art. Layer two photos on top of one another and tear out portions of the top photo to achieve an interesting collage effect. Every preschooler will love this colorful rainbow collage. Colored cotton balls and watercolors are combined into the shape of a rainbow. Celebrate Earth Day by making an earth collage from recycled bits of magazine cutouts. Kids will love making this shark from newspaper cutouts. It is such an easy craft to make, and everyone is almost guaranteed to end up with fabulous results. The shark collage would be lovely as either a wall hanging or a card. Vintage photos can be repurposed into cute cards with collage cutouts. Add an unexpected element to the vintage photo to bring about a bit of humor and surprise. Teach children the great message of Martin Luther King Jr. while making an art project depicting an iconic moment in history. A free collage PDF template is offered for download ensuring excellent project results. Keep a personal journal of your thoughts in collage form. Express your feelings visually on a journal page as a type of visual diary. Make a collage that is inspired by a great master. What a marvelous way to incorporate an art history lesson with fun.